Click on this link. Guess what you get? 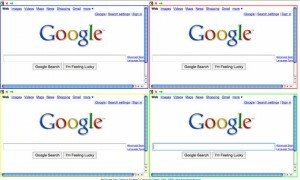 Four Google search windows, all at once. So….if you wanted to do four searches at once, you could. Has someone called Marissa?